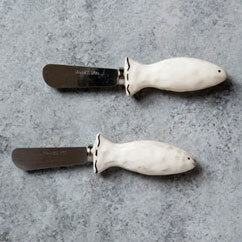 We curate our gifts, choosing only the absolute best products from farmers, cooks, and makers that we love! 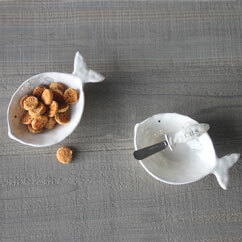 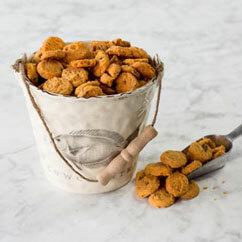 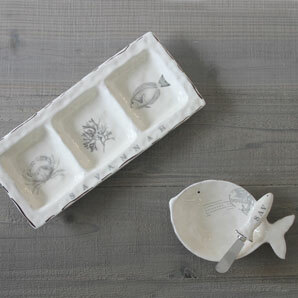 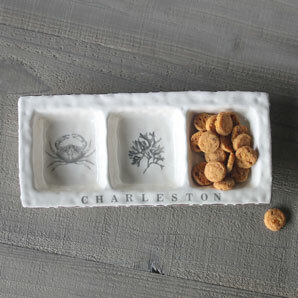 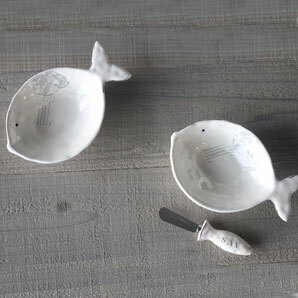 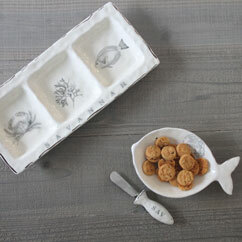 Our ceramic fish bowl and spreader is perfect for holding Pimento Cheese or any other favorite dips or your loose change. 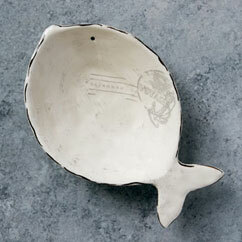 The bowl also features a coastal postmark from the city you love Savannah, GA. 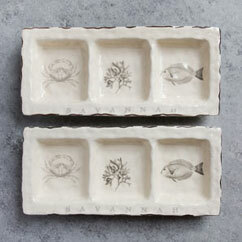 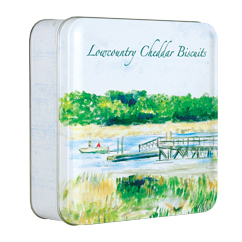 This 3-section serving platter party tray is stamped with coastal images in each section and the name of the city we all love, Savannah. 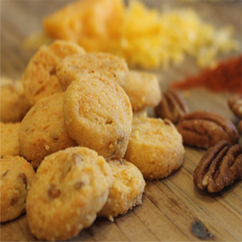 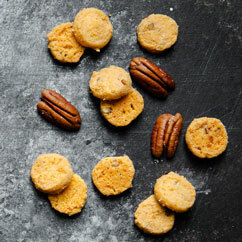 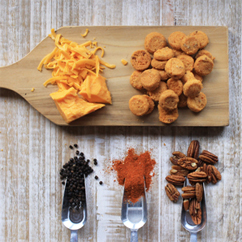 Plenty of room for not 1 but 3 delicious Savory Biscuits.